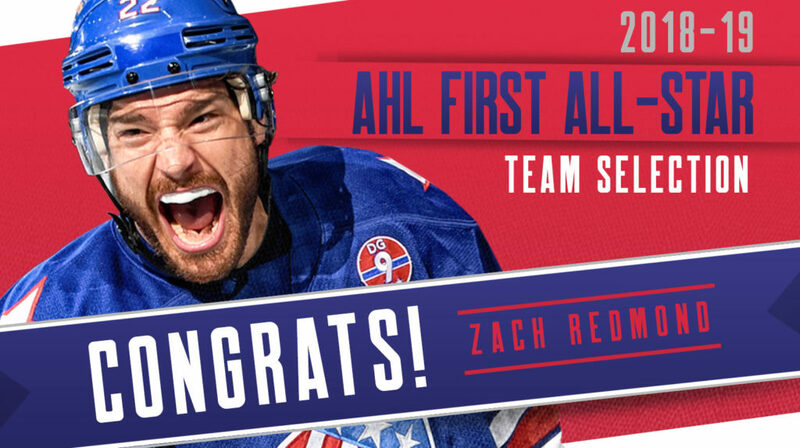 Zach Redmond Named to AHL First All-Star Team · Let's Go Amerks! 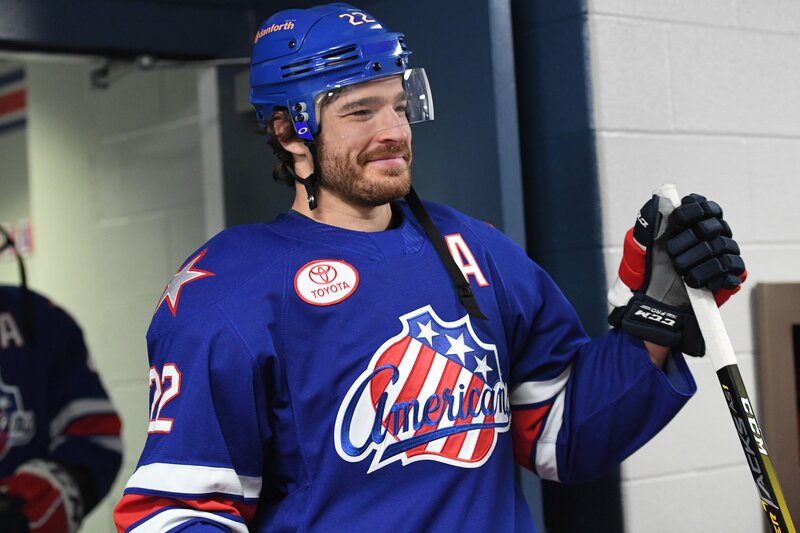 The American Hockey League announced that Amerks defenseman Zach Redmond has been named to the 2018-2019 AHL First All-Star Team. This is the second year in a row that Redmond has earned the end of season honor. He was named to the AHL Second All-Star Team for the 2017-2018 season. Redmond has had a career season with games still to be played. In 56 games he has 50 points (21G+29A) which surpasses last seasons career best 47 points (15G+32A) in 66 games. Redmond has been either number one or top five all season in the American League for points by a defenseman. He’s scored a team high 10 power play goals which is also ties him for the league lead for power play goals by a defenseman. He’s also tied for the league lead with nine game-winning goals while his 196 shots are the most by an AHL blueliner this season. Earlier this season when he scored his 19th goal he broke a 46 year old Rochester Americans franchise record for goals by a defenseman. Rick Pagnutti set the original record with 18 goals during the 1972-73 season. The night that Redmond broke the franchise record for goals in the regular season he also took an odd stumble along the back boards that took him out of the lineup with a lower body injury. He missed the next 11 games, played played 12 games, missed another six, and has been back since. Zach Redmond was an incredible addition to the team last season. Prior to the season he signed a two-year American League contract to lead the Amerks going forward. Many ask why he isn’t playing in the NHL or why he wasn’t called up and the answer is simple – he has a lucrative contract to play with Rochester and lead the team versus trying to find his way into an NHL lineup. He’ll likely win more team awards tonight and could still be in the running to win the Eddie Shore award for the leagues best defenseman. The last Amerks defenseman to win the award was Al Arbour in 1964-1965. The only other Amerks defenseman to ever win the award was Steve Kraftcheck for the 1958-1959 season. That was also the first year the award was given out. Redmond is very humble and often hesitates when asked about his numbers. He’s a league leading defenseman and dictated his future as an Amerks Hall of Fame player.